Sad News from the Advisory Council – BID Inc. Do Good Work. A beautiful write-up on the important, behind-the-scenes work of Diane Kays. 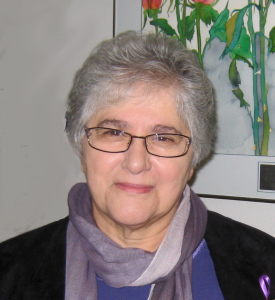 It is with overwhelming sadness that the PEI Advisory Council on the Status of Women reports that our Chairperson Diane Kays died yesterday, March 28, 2015, after a brief illness. Appointed to the Advisory Council in March 2011, Diane took up the role of Chairperson in August of that year. During her term as Chairperson, she devoted incredible time and energy to the Council’s work, taking an active part in the life of the office and of the Council, seeing the Council through a restructuring in 2012, and maintaining a strong and respectful relationship with Minister Responsible for the Status of Women Valerie Docherty. Diane represented the Advisory Council on the province’s Mental Health and Addictions Advisory Council and the Victim Services Advisory Committee, offering her irreplaceable knowledge and experience to these groups.